The militants involved in Wednesday's attack on a Border Security Force convoy in Udhampur district were backed by Pakistani intelligence agency, the Inter-Services Intelligence, police officials from Jammu and Kashmir claimed on Thursday. The officials said that they had written about the possible role of the ISI in a preliminary report submitted to Udhampur district magistrate Shahid Iqbal Choudhary. One Pakistani militant, Mohammed Naved, was captured on Wednesday shortly after he and an accomplice killed two BSF personnel and wounded nearly a dozen others in an ambush. India has hired two foreign lawyers to prevent Italy from allowing the case involving two of its marines accused of killing two Indian fishermen to be heard in an international tribunal. Known for their expertise in international arbitration, Alain Pellet and R Bundy will represent India at the International Tribunal on Law of the Sea, which will hear the case on August 10 and 11 in Hamburg. They will be accompanied by Additional Solicitor General PL Narasimha and officials from the Union External Affairs and Home Ministries. India is challenging Italy's move to take the case to the international tribunal as the marines had killed the two fishermen in Indian waters, a senior Home Ministry official said. The Daily Fix: Is it a coincidence that Udhampur followed Ufa? 1. There will be no early adjournment of the monsoon session of Parliament, the government has confirmed, even if Opposition parties continue to boycott the House. 2. Meanwhile, in the Lok Sabha, External Affairs Minister Sushma Swaraj defended her decision to help former IPL chief Lalit Modi's wife, who was suffering from cancer. "What would Sonia have done?" she asked the House. 3. Assam, Manipur and Arunachal Pradesh chief ministers still claim to be in the dark about the Naga peace accord, which will presumably affect their states. As the gunfire in Udhampur dies down, a familiar pattern emerges. Mohammad Naved, the terrorist caught after the attack, is from Faisalabad in Pakistan. He is believed to have been trained in the same Lashkar-e-Toiba camp that produced Ajmal Kasab, the face of the 26/11 Mumbai attacks. The Jammu and Kashmir police have said preliminary investigations reveal that Pakistan's Inter-Services Intelligence backed the attack. As with Mumbai 26/11, Pakistan's fingerprints seem to be all over the recent spate of terror. The Indian military leadership should be kept in the strategic decision-making loop. INDIA-PAKISTAN relations are complex and unique. In Lahore, Bollywood-made Bajrangi Bhaijan brings tears to theatre-goers; just like it happens with my wife when she watches a particular Pakistani short film on Zindagi channel. From Islamabad, young students from Westminster School come excitedly to Chandigarh to participate in a Model United Nations and go back happily, clamouring ‘Yeh dil maange more’. A young Pakistani lady, pining for Bollywood actor Salman Khan, reaches Amritsar without a passport, proving filmi style that ‘pyaar koi bhi sirhad cross kar sakta hai’. But around the same time, three Pakistani fidayeen cross over into Punjab, kill seven policemen in Dina Nagar and narrowly miss blowing up 250 passengers travelling aboard the Pathankot-Amritsar train. They were highly motivated, well trained, armed and equipped and, therefore, able to fight for nearly 11 hours before getting killed. My 42-year military experience tells me that they could not have embarked on this mission without substantial support from Pakistan’s state agencies. What the country saw in Gurdaspur was a police force in neglect as it made up its deficiencies of equipment and training with its courage. A smarter force, better equipped and trained, would have tried to capture the terrorists alive. An even better security and intelligence apparatus would have not let them come in so deep into India in an area bristling with the security apparatus. In all this, we were lucky to have averted a major disaster that could have taken place had the bombs planted on the tracks not been discovered by two alert Indians, Darshan Kumar and Satpal. This attempt was presumably the main purpose of the terrorists. The group had ample time to plant the bombs and was escorted by a lookout team. All of them – we do not know how many – have now disappeared. New Delhi: India has cancelled a meeting with the European Union’s (EU’s) chief trade negotiator in protest against an import ban on 700 of its generic drugs for alleged manipulation of clinical trials, dealing a blow to the proposed free-trade accord between the European trade bloc and Asia’s third-largest economy. The decision was taken as the government is “disappointed and concerned by the action of EU in imposing legally binding ban on the sale of around 700 pharma products clinically tested by GVK Biosciences, Hyderabad” on 16 July, the commerce ministry said in a statement on Wednesday. The meeting between chief trade negotiators of the two sides was scheduled for 28 August. The cancellation of talks is only the latest setback to the proposed free-trade agreement (FTA) that the two sides have been negotiating since 2007. Differences over the lack of access for Indian professionals to EU’s labour market and high taxes imposed on liquor and car imports from Europe have thwarted efforts to reach an accord that is expected to boost trade between India and the EU. ISLAMABAD: Several top ranking officers of the National Database and Registration Authority (NADRA) have helped terrorists and other miscreants obtain fake national identity cards of Pakistan, reveals a report shared by the country’s premier intelligence agency with the NADRA chairman. In the report, the Inter-Services Intelligence (ISI) listed 40 officials who have been involved in issuance of fake national identity cards. Some retired army officers, who currently hold top positions in NADRA’s Karachi office, are also on the list. They include General Manager (Projects) Brig (retd) Ehsanul Haq, Deputy GM (Operations) Lt-Col (retd) Aqeel Ahmed and Deputy GM (Operations) Maj (retd) Nihal. According to the ISI report — a copy of which is available with The Express Tribune — the agency, after a comprehensive intelligence scrutiny as part of its counter-terror operations, found many NADRA officials involved in facilitating attempts by terrorists and miscreants to obtain fake identity cards. The fight against terrorism and religious extremism in Pakistan is in doubt despite a new counter-terrorism plan introduced by the Pakistani government, according to a report from the International Crisis Group. In the wake of the 16 December 2014 attack on a school in Peshawar, carried out by the Pakistani Taliban (TTP), the Pakistani government announced a twenty-point plan aimed at combatting terrorism and extremism throughout the country. The International Crisis Group (ICG) recently released a report assessing this plan, ' Revisiting Counter-terrorism Strategies in Pakistan: Opportunities and Pitfalls,' published on 22 July 2015, The ICG say that, despite the new National Action Plan (NAP) to counter-terror strategies, the Pakistani government has been unable, and in many cases unwilling, to curb the operation of violent jihadi groups. Pakistan faces an important battle against terror and extremism within its borders. The report also concludes that the government have been unsuccessful in regulating a growing network of radicalising madrassas and has an over reliance on heavy-handed military tactics to dispense law and order throughout the country. Challenged by the growing threat of religiously driven jihadi groups, Pakistan faces an important battle against terror and extremism within its borders. The report argues that the new, military-led NAP is not the answer. The biggest threat to religious freedom is religious extremism. The world must recognize this — and act. There is a growing threat to religious freedom around the globe. In an earlier era, the greatest hostility to faith came from secular autocracies or totalitarian regimes. But that has changed. Today, the most active persecutors of religious minorities and dissenters are religious extremists. In this still-young century, the world has witnessed a sharp rise in the number of extremist groups who attack the religious “other” for perceived transgressions. No longer are states the sole perpetrator of abuses, as was the case during the Cold War. No longer are states the sole perpetrator of abuses, as was the case during the Cold War. In the Middle East, the Islamic State has become the chief exemplar of a terrorist organization espousing a vile, religiously inspired ideology that despises diversity of thought and belief. Its genocidal attacks on the Yazidis almost one year ago and the choice “convert or die” it offers to Christians (also documented in a recent and much-discussed article in the New York Times) are gruesome evidence of its intentions. But Muslims aren’t safe, either. Shiite Muslims or dissenting Sunnis can also find themselves facing death sentences. 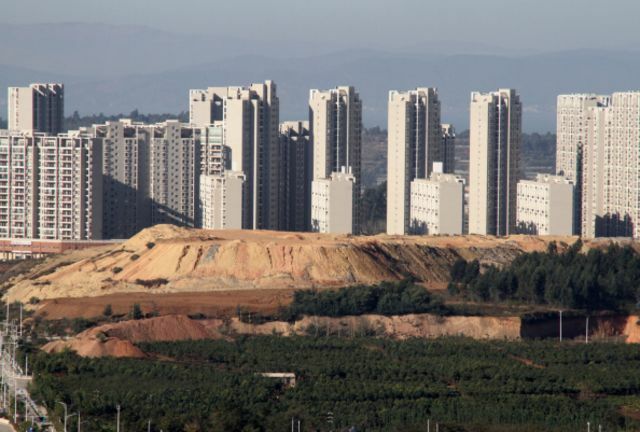 The Middle East is not the only region grappling with this new trend. In South Asia, the Taliban (in both its Afghan and Pakistani versions) have struck at Christians and other non-Muslims, while also viciously attacking other Islamic sects for being the “wrong” kind of Muslim. In Burma, the 969 movement of radical Buddhist monks has incited mob attacks against Rohingya Muslims. And these extremist monks are following the same agenda as like-minded Buddhist extremists in Sri Lanka, who have targeted Christians and Muslims in that small island nation. A few years ago, I had interviewed the MP from Ladakh. He had explained to me the various tactics used by the Chinese PLA to intrude into Indian territory in his mountainous region. Sending ‘grazers’ and yaks in the Himalaya or pushing ‘fishermen’ on the seas on the same page of the Art of War; it is the easiest way to conquer territory. The easiest way was, he said, by pushing Tibetan ‘herders’ with their yaks into Indian grazing grounds and then watch. If no immediate response was forthcoming from the Indian side, the territory de facto became Chinese. There are still economists who publish papers in the Review of Austrian Economics, and there are still a bunch of people on the Internet who will tell you they subscribe to the "Austrian school." The Austrian school, for the uninitiated, is a hodgepodge of beliefs, usually holding that fiat currencies are doomed to fail, that a return to the gold standard is inevitable and that central banks are responsible for bubbles, market crashes and recessions. But this group has grown relatively quiet of late, and it isn't hard to see why. First, there was the dramatic failure of the Federal Reserve's program of quantitative easing to cause even a hint, even the slightest whiff, of inflation. For a few years, the fears of inflation were kept on life support by Austrian claims that inflation was being hidden from the public eye, that asset price increases were actually a form of inflation, or -- my personal favorite -- that QE itself is inflation. Eventually, even the most diehard supporters of these silly backup arguments were forced to quiet down; reality can only be denied for so long. Extending Domestic Governance Over the Seas: China's State Oceanic Administration. "In 1982, General Liu Huaqing of China proposed the strategy of 'offshore defense' and drew a line through the Kurile Islands, Japan and the Ryukyu Islands, Taiwan, the Philippines, Borneo, and Natuna Besar. 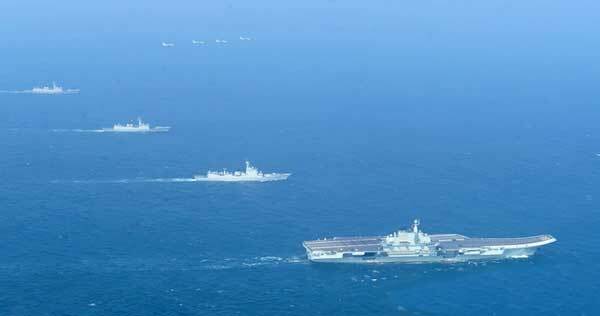 He set the year 2000 as the goal for establishing Chinese control inside this 'First Island Chain.' [...] Taking advantage of American passiveness to intervene in territorial disputes in Asia, China has been trying to expand its area of actual control by extending domestic governance over the seas. Over the last decade, the State Oceanic Administration (SOA) under the State Council, along with its maritime law-enforcement body, has assumed more responsibility in the oceanic administration and developed a clearer division of labor within PLAN." The recent round of promotions in the People’s Liberation Army (PLA) by China’s President and Chairman of the Central Military Commission (CMC) Xi Jinping, on the occasion of PLA Day on August 1, 2015, appears to continue the emphasis on professionalism and preference for either battle-field or other operational experience for elevation to the higher ranks of the PLA. Included in the list are some officers whose affiliations to Xi Jinping are identified. The promotions are also indicative of Xi Jinping having begun to prepare for the 19th Party Congress in 2017. The criteria of professionalism and preference for battle-field experience in higher echelon PLA appointments was evident in the composition of the new Central Military Commission (CMC) announced at the 18th Party Congress in 2012. The main features of China’s new Military leadership were clearly these: professional background of all the Members and both Vice Chairmen of the Military Commission; the increased number of ‘princelings’, or members of the ‘Red Nobility’ led by the Chairman of the CMC Xi Jinping; and the implicit emphasis on Integrated Joint Operations (IJO), especially an enhanced operational role for the People’s Liberation Army (PLA) Air Force (PLAAF). It was at this CMC that the PLAAF for the first time ever had two representatives namely, Central Military Commission Vice Chairman Xu Qiliang and PLAAF Commander and concurrent Military Commission Member General Ma Xiaotian. In a phone call to Turkish President Recep Tayyip Erdogan, Iranian President Hassan Rouhani on Thursday sought an alliance between their countries to tackle the Islamic State of Iraq and the Levant militant group. Almost a year after a US-led coalition started air strikes against the group, Ankara has launched a two-pronged airstrike offensive against the Islamic State and Turkish rebel group the Kurdistan Workers' Party. Erdogan had earlier called for more collaboration in the fight against the Islamic State, saying that its continued existence was "dangerous for the Islamic world". Hundreds of migrants trying to reach Europe from Libya are feared to have drowned after their boat capsized in the Mediterranean Sea on Thursday. The office of the United Nations High Commissioner for Refugees later said that 399 people had been rescued. Seven ships and helicopters belonging to the Italian coast guard were deployed in search-and-resuce operations. According to the UNHCR, 25 out of an estimated 600 migrants on the boat were confirmed dead. More than 2,000 migrants have died this year trying to cross the sea to reach Europe, the International Organisation for Migration has said. 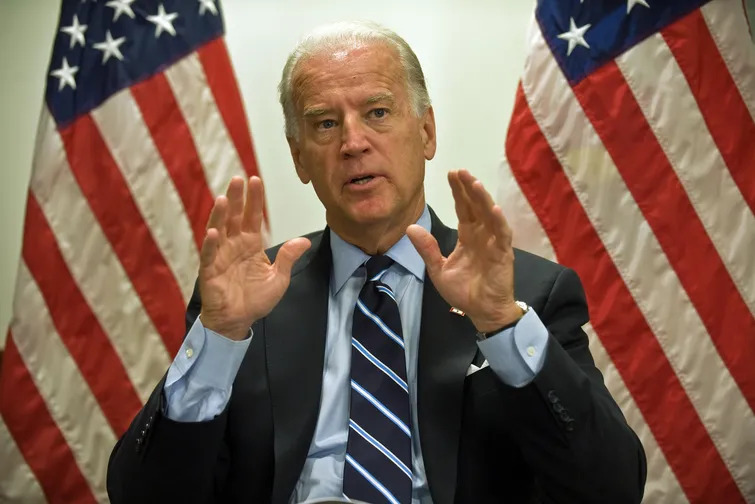 Now that it looks like a Joe Biden presidential candidacy could actually happen, it seems inevitable that people will discuss what are said to be his considerable foreign policy chops. That includes one of his best-known and most controversial ideas: that Iraq should be partitioned into three separate states, one for each of the main sectarian groups. Perversely, much of DC, which for years has wrongly mocked Biden for proposing a plan he didn't actually propose, has since come around to seeing both partition (the plan Biden didn't propose) and the actual Biden plan as great ideas that could save Iraq. They're wrong: Either plan would be a catastrophic disaster for the country. Four big problems with the Obama administration’s plan for countering violent extremism. If the last decade was the age of the GWOT, or Global War on Terror, we’re currently living in the era of CVE. If you’re not caught up with the lingo, that’s countering violent extremism — and just as we had counterinsurgency tactics and counterterrorism experts who specialized in the GWOT, a new cottage industry has sprung up of CVE analysts and officials. The White House even had a summit about CVE earlier this year — mostly notable for the lack of any workable recommendations it produced. The concept of preventing men and women from sliding down the path of radicalization is, of course, not new. But the term is catching on because of the flow of young Westerners traveling to Syria to join the so-called Islamic State (IS), and also a handful of incidents of young Muslim Americans launching attacks at home — potentially including the Chattanooga, Tennessee, shooting on July 16 that killed four Marines, though that man’s motives remain unclear. Rumors have been circulating in recent days that the Yarmouk Martyrs Brigade -- a Syrian rebel group that gained notoriety in March 2013 when it kidnapped, and subsequently released, 21 Filipino UN workers -- is readying to declare its own emirate, or wilayat, in the Syrian city of Daraa, one of the group's strongholds. The word emirate evokes all kinds of images and assumptions, but the motivations behind Yarmouk's potential push for autonomy may be rooted in very terrestrial and parochial interests. Although the Yarmouk Brigade has been rumored as having ties with the Islamic State group, the militant separatists have repeatedly denied such charges. Compounding the confusion is the fact that these accusations have been levied by Jaish al-Fatah, a Syrian rebel alliance with ties to al-Qaeda. The two factions have fought each other on the field of battle and in the court of law, and their disagreements are largely over matters of jurisprudence, affiliation, and religious interpretation. None of this is likely to comfort to the Hashemite Kingdom of Jordan. At times a darling of the Western world, U.S. ally Jordan already shares one volatile border with western Iraq, and the kingdom continues to reel from a video released by ISIS earlier this year depicting the immolation of a Jordanian pilot who had been taken captive by the jihadist group. The areas shown in the images are located near the Turkish town of Elbeyli, on the border with Syria. On July 23, just three days before the images were captured, Islamic State militants fired across the border from the Syrian village of al-Raaee and traded fire with Turkish forces, resulting in the death of a Turkish soldier and a Syrian militant. The next day, Turkish fighter aircraft bombed Islamic State positions in Syria. Soon after, Washington and Ankara came to an official agreement allowing the United States to use Incirlik Air Base to strike against Islamic State positions. Our aim here is to analyze the deal as impartially and objectively as possible solely from a nonproliferation perspective. It is not to offer a final conclusion about whether the deal is a good or bad one, but instead to help readers make up their own minds. Notwithstanding the self-created confusion in the United States and most other western countries over which Syrian revolutionary groups to support, and in light of the latest Turkish decision to fight Daesh (the self-proclaimed) Islamic State of Iraq and the Levant) extremists and Kurdish militants simultaneously, Syria is bound to implode. This tragedy can be avoided if Syrians work out their differences, perhaps through a Second National Congress as suggested by leading Arab nationalists, though the hurdle that is preventing a resolution is the Baath regime itself. Nearly five years into a bloody war with no end in sight, can anyone prevent this implosion and avoid the beginning of prolonged conflicts among nascent statelets that will inevitably rise across Syria? In a remarkably frank presentation on July 26, the Syrian President Bashar Al Assad acknowledged immense pressures on his increasingly fragile military, claiming that it is widely overstretched and exhausted. Consequently, and for tactical reasons, there was little choice but to retreat from certain areas. Long gone was the 2011 bravura that anticipated victories galore. Today, the Syrian Arab Army is engaged in a war of attrition that has sapped its manpower, which was why Al Assad amnestied deserters in the hope that some might return and launched a new campaign that urged citizens to enlist. Events may be leading toward a crisis between India and Pakistan. On July 27, militants – allegedly with links to Lashkar-e-Taiba – launched an attack on a police station in Gurdaspur, Punjab. On August 5, extremists – again with alleged links to Pakistan – killed two Indian Border Security Force personnel in an attack on a convoy in Udhampur district. Firing along the Line of Control and the International Border – which Pakistan terms the Working Boundary – has spiked even more since the Gurdaspur attack. Three Pakistanis and one Indian were killed on August 4 by cross-border firing. Since late 2012, firing has occurred on more than one in every five days. India and Pakistan agreed to the November 2003 ceasefire in the wake of the harrowing 2001-2002 “Twin Peaks” crisis, which was sparked by at attack on the Indian Parliament in December 2001. The Parliament attack was itself preceded by smaller acts of extremist violence in Jammu and Kashmir and firing along the Line of Control. This crisis saw nearly one million soldiers mobilize for a war which they didn’t fight. Recent events recall this pattern. Brian Whitmore writes for Radio Free Europe/Radio Liberty. Full Bio But in a high-profile press conference in Moscow on August 3 that was carried live on Russian state television, Azarov announced the creation of a Ukraine Salvation Committee that aims to oust the pro-Western government of President Petro Poroshenko. Kremlin spokesman Dmitri Peskov said Moscow has nothing to do with the initiative. But that has about as much credibility as Peskov’s claim that the $620,000 watch he was photographed wearing at his wedding was a gift. In fact, Azarov’s announcement fits into a pattern that suggests that the Kremlin is giving up on the Minsk accords as a means to achieve its objectives in Ukraine and is shifting to other methods of pressuring Kiev. These include calls to offer Russian citizenship to residents of the separatist-held areas of the Donbas region, suggestions that it may turn the territories into a Russian protectorate or annex them outright, and bellicose moves suggesting a fresh military offensive. At the heart of Moscow’s problem is that it doesn’t want these territories. It doesn’t want to govern them. It doesn’t want to shoulder the cost of rebuilding them. It wants to use them to undermine and paralyze Kiev. Sandra Blakeslee has written about science for the New York Times, both on staff and on contract, for the past 45 years.Though she specializes in the brain sciences, she loves writing on. Ellen Bradbury grew up in Los Alamos, where her father, Edward Wilder, worked on shaped explosive lenses for the Manhattan Project. She later married John P. Bradbury, the son of Norris Bradbury,. 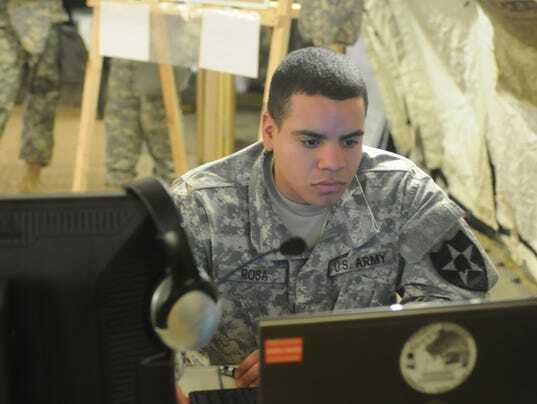 The Army is conducting a series of experiments to find the best ways to integrate cyber operations into more traditional land operations, including in the formations closest to the ground. "The Army chief of staff challenged us last year, saying how do we integrate cyberspace operations into unified land operations? Because it really is about cyber not being a thing unto itself – it needs to be fully integrated," said Ronald Pontius, deputy to the commanding general at Army Cyber Command. "How do you have non-kinetic fires along with kinetic fires? How is it fully integrated as you're defending the network, you're operating and you're maneuvering, and it's in a virtual space?" Speaking on the sidelines of an AUSA event in Arlington, Virginia, Pontius said the experimental initiative known as "cyberspace operations corps and below" started with a first event held in the May-June timeframe with a brigade combat team at the Joint Readiness Training Center at Fort Polk, Louisiana. The exercise was carried out by the 3rd brigade, 25th infantry, with preparations going back at least 6 months in earlier leadership training programs to gear up for the field experiment. Claims that technical experts have solved attribution ignore legal challenges that could slow or limit how states might lawfully respond to a major cyberattack. First, a country hit with a major cyberattack would face the novel challenge of persuading allies that the scale and effects of a cyberattack were grave enough to trigger a right to self-defense under the UN Charter. No simple task, given that the UN rules were drawn up seven decades ago by countries seeking to end the scourge of traditional, kinetic warfare. Jurists still debate how self-defense applies in cyberspace and U.S. officials admit building a consensus could be a challenge. The Senate confirmed the top new military leaders for the Army, Navy and Marine Corps on Wednesday, completing a summer overhaul of the Joint Chiefs of Staff. Lawmakers approved the appointment of Gen. Mark Milley to be the new Army Chief of Staff, Adm. John Richardson to be the new Chief of Naval Operations and Lt. Gen. Robert Neller to be the new Marine Corps Commandant. The moves came in the waning hours of the summer Senate session, without any commentary from chamber leaders. All three men received strong support from the Senate Armed Services Committee last month and public praise throughout Congress. They join new Chairman of the Joint Chiefs of Staff Gen. Joseph Dunford Jr. and Vice Chairman Gen. Paul Selva, both confirmed last month by the Senate. All of the men are expected to formally assume their new roles in the next few weeks, as their predecessors retire or move on. World War III: It’s going to be cyber war but is India prepared? Due to a simple reason of Russian Army's memorial being brought down by protestors, the Russians supposedly attacked through what is called a DDOS attack (Distributed Denial of Service).They jammed all networks with so much traffic that it brought down all the financial networks of the country! This has been nicknamed WWI or Web War I. North Korea attacked all the web services of Homeland Security & Transportation departments and brought them down. Could the US counterattack when North Korea has no grid and hardly any internet connections? One of the best ways to reduce the cyber threat is to make it harder and more costly for adversaries to initiate attacks, says Defense Department CIO Terry Halvorsen. 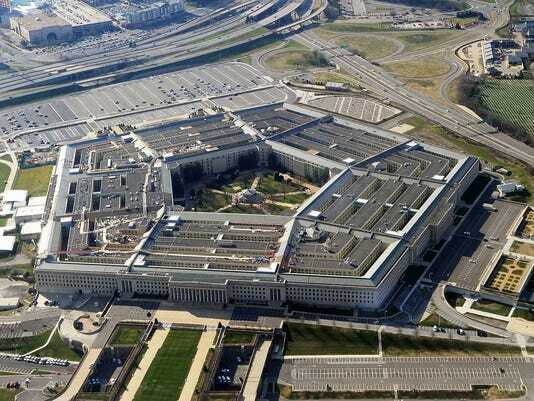 Powerful and innovative security measures such as multifactor authentication and biometrics, along with strategic security planning and training, could make launching attacks on DoD resources time-consuming and futile. Benjamin Brake is an international affairs fellow at the Council on Foreign Relations and a foreign affairs analyst in theBureau of Intelligence and Research at the U.S. Department of State. The views expressed in this article are those of the author and do not necessarily represent those of the Department of State or the U.S. government.